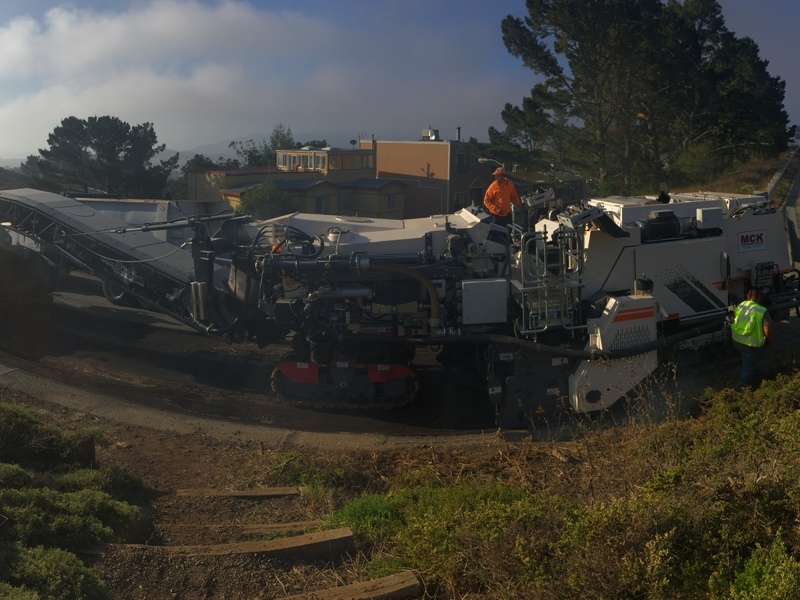 MCK utilizes the Wirtgen Cold Recycler 3800 CR. Cold In-Place (CIR) is a rehabilitation technique that reuses existing pavement without applying heat. 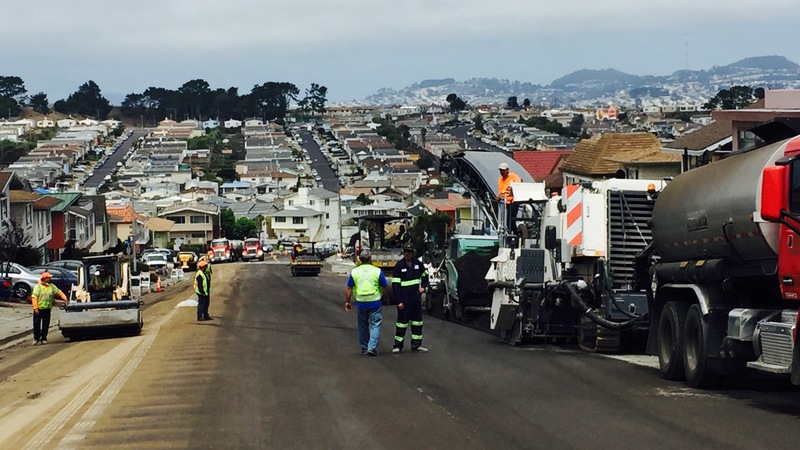 It involves grinding the top 2 to 6 inches of existing asphalt surface to create a homogenous and flexible structural base. The reclaimed asphalt pavement is sized per design specifications and mixed with a recycling agent and/or binder in the machine’s mixing chamber. The binders are injected into the mixing chamber via special injection bar. The new mix is spread uniformly across the road by the loading the new material directly into a conventional paving machine. CIR is considered a green construction approach, and has environmental advantages that include eliminating old asphalt disposal, lowering energy and raw material consumption, and reducing overall transportation costs. Construction times are typically reduced by 50% when compared to conventional remove and replace or base repair and overlay methods. The road can be opened to traffic 60-90 minutes after it is completed.